A chance encounter with a reproduction of Rembrandt?s painting, The Return of the Prodigal Son, catapulted Henri Nouwen into a long spiritual adventure. In his highly-acclaimed book of the same title, he shares the deeply personal meditation that led him to discover the place within which God has chosen to dwell. This Lent course, which has been adapted from the book, helps us to reflect on the meaning of the parable for our own lives. restoration of sonship, the elder son?s resentment and the father?s compassion. All of us who have experienced loneliness, dejection, jealousy or anger will respond to the persistent themes of homecoming, affirmation and reconciliation. Each session contained on the CD includes extracts from the book by Henri Nouwen, and background information about Henri Nouwen?s life, as well as suggestions for reflection. Notes for Group Leaders and written questions for group discussion are also included in the enclosed booklet. 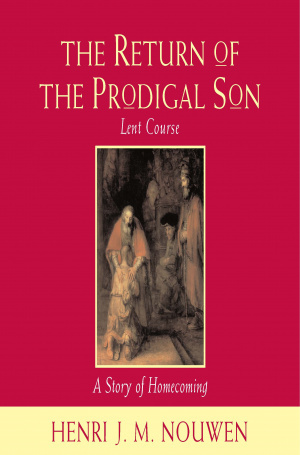 Return Of The Prodigal Son CD by Henri Nouwen was published by Darton Longman & Todd in January 2008 and is our 2282nd best seller. The ISBN for Return Of The Prodigal Son CD is 9780232527278. Be the first to review Return Of The Prodigal Son CD! Got a question? No problem! Just click here to ask us about Return Of The Prodigal Son CD. Do you have cards of the painting available? A:I am afraid the session lengths are unavailable, but the Cd does come with cards of the images. Thank you for using the Q&A Forum.